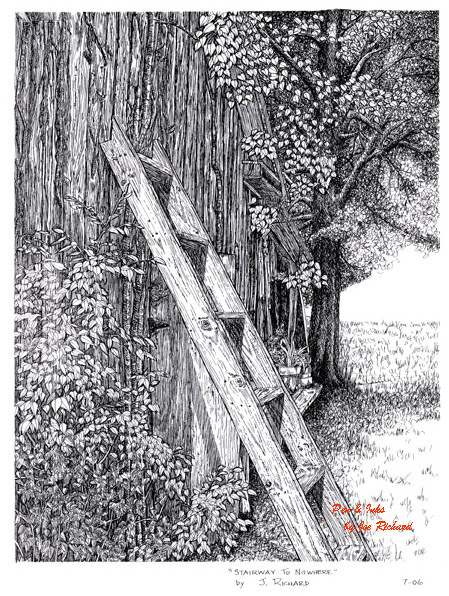 "Stairway to Nowhere" is a study in pen and ink techniques utilizing both line and art work as well as stippling. This particular drawing was done from a single photo taken in southwestern Louisiana during a day trip into Cajun country. The drawing utilizes mostly pen and ink line drawing work. This study in pen and ink techniques was completed in July 2006. 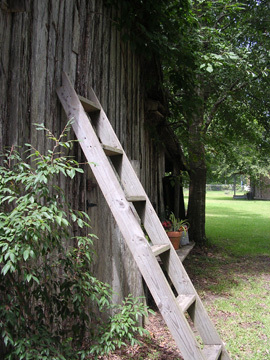 The photos used in completion of the "Stairway to Nowhere" artwork. The photo was taken by the artist and is Copyrighted by him.